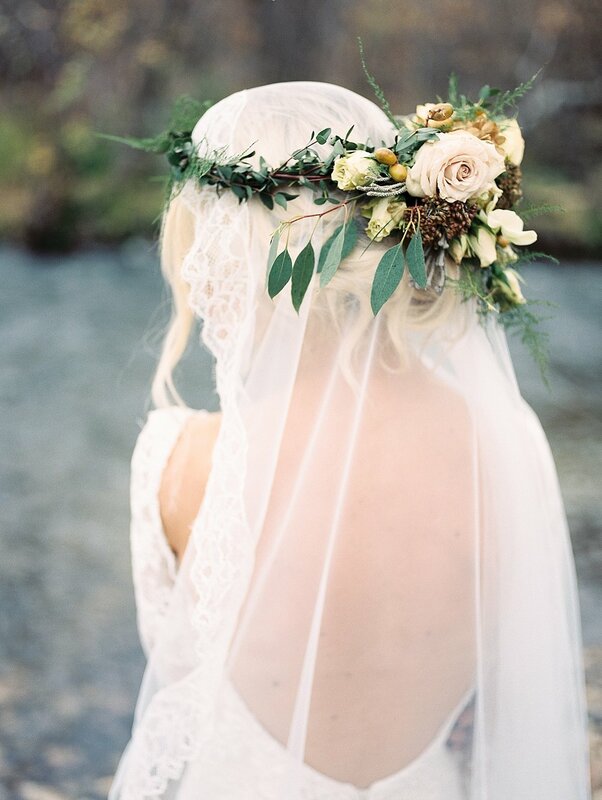 This beautiful shoot took place in a very small town outside of Mountain Home, Idaho called Pine. I had fallen in love with the location when my husband and I were up exploring the mountains one day. I felt so inspired by the river, that I knew someday I was going to do a photoshoot there. As a Boise Wedding Photographer, I am always watching the surroundings for what could be a great location for a shoot. I love to have many options for my clients to choose from for locations. This shoot was such a fun project for me. I had a vision in my head and an inspiration mood board, but I was still extremely challenged about how I was going to make it all come to life. I met Kimi and Gabe, my models for the shoot, at a coffee shop in Boise. I was the creep who gave them a business card and asked them if they'd ever want to do a photo shoot with me. I saw their chemistry while getting coffee and knew that they would be so fun to photograph- and they were! These two were so madly in love, they made my job ridiculously easy! We were racing the rain, which is never fun! We knew it was supposed to be a rainy day, according to the forecast, but we saw that a little bit of a break was coming in the morning and we wanted to take advantage of it! It stayed dry until I was finishing up my very last roll! Granted, I probably would have kept photographing them forever. They were just too fun to capture!